Offered with vacant possession and PLANNING PERMISSION TO EXTEND this three bedroom detached bungalow. APPROVED to provide a FAMILY HOME which would measure approximately 2857 sq ft (265.5 sq m) 4/5 BEDROOMS, 4 BATHROOMS, DRESSING ROOM, LIVING ROOM, KITCHEN/BREAKFAST ROOM, UTILITY ROOM, CLOAKROOM and CARPORT. The current property comprises entrance porch, living room, fitted kitchen, utility/rear lobby, three bedrooms, en suite shower and bathroom. Outside the rear garden extends some 70 ft in length and to the front is a driveway providing ample parking that leads to the garage. 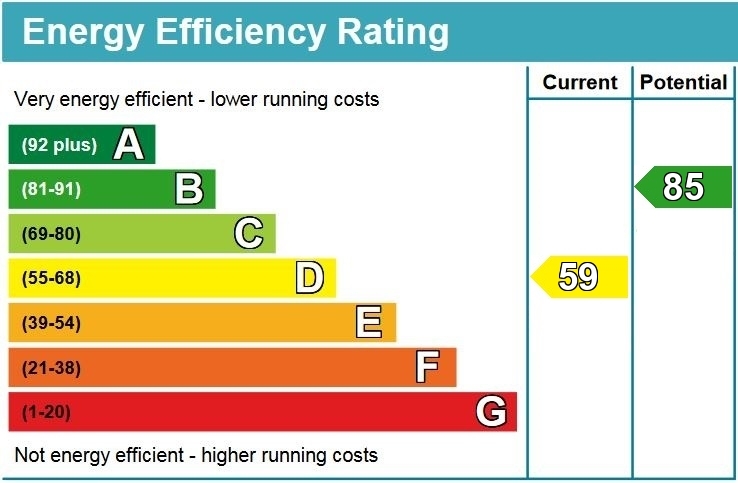 EPC rating: D.
Coved ceiling, double glazed bay window, double glazed side aspect window, two radiators. Radiator, space and plumbing for washing machine, double glazed door to rear garden. Front aspect double glazed window, radiator, fitted triple wardrobe with sliding doors (one mirrored), large walk-in storage cupboard. Fully tiled walls, ceiling extractor fan, combined WC and wash hand basin and cold water tap, shower tray with rail and curtain, Triton electric shower unit. Rear aspect double glazed window, radiator, fitted double wardrobe with sliding doors. 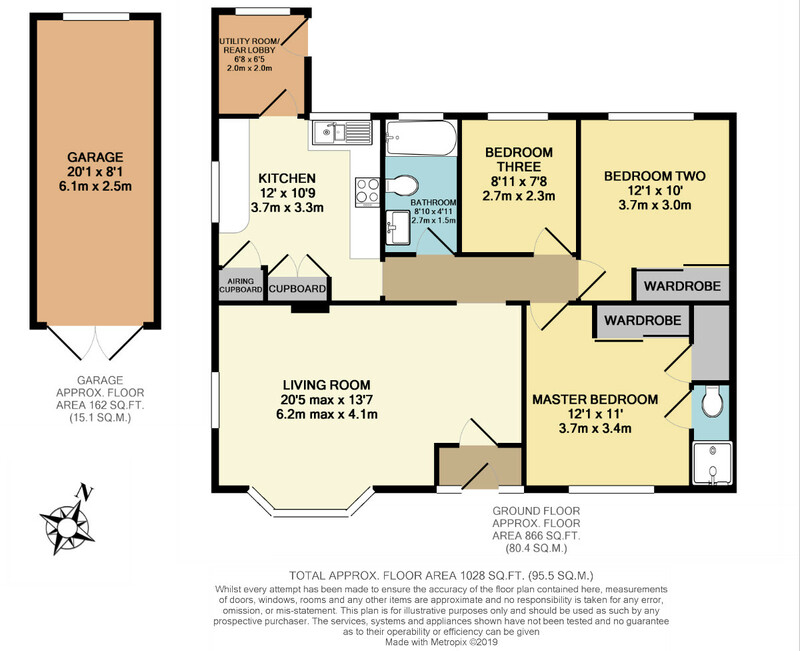 Modern suite comprises: panel enclosed bath with mixer tap, vanity unit with wash hand basin and mixer tap, WC with push button flush, fully tiled walls, radiator, Linolite with shaver socket. The rear garden extends to approximately 70ft in length, mainly laid to lawn with some flower and shrub borders, paved patio area, outside water tap, outside lights, timber tool shed, greenhouse and detached garage. To the front of the property is a tarmacadam driveway which provides parking for several vehicles and leads down the side of the property to the garage, area laid to lawn with recently re-planted hedge to the front boundary. The driveway to the side of the property leads to the garage with double doors to front.